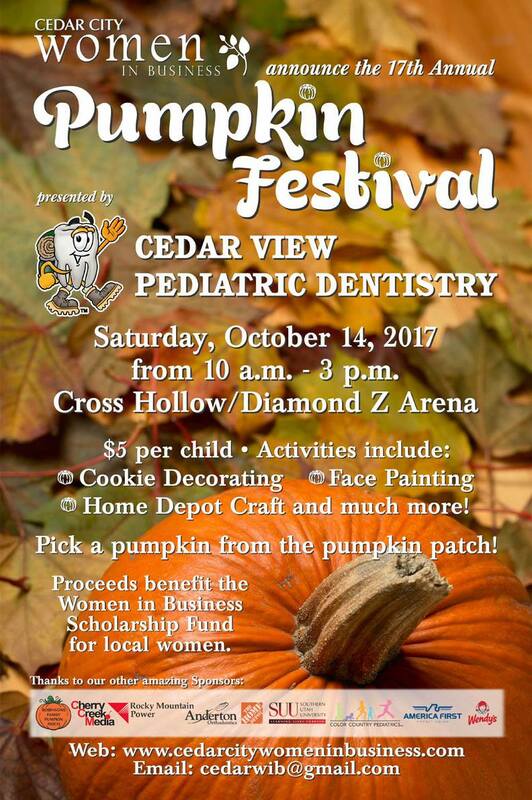 Cedar City Women in Business announce the 17th annual Pumpkin Festival for kids presented by Cedar View Pediatric Dentistry on Saturday, October 14, 2017 from 10:00 am to 3:00 pm at the Cross Hollow / Diamond Z Arena. Fee is $5 per child. Activities include cookie decorating, face painting, Home Depot craft and more! Pick a pumpkin from the pumpkin patch! Proceeds benefit the Women in Business Scholarship Fund for local women. This Halloween / harvest event has been added to the calendar. Fly-in Breakfast & Airplane Rides at Cedar City Airport!